If you are working on any project that involves CSS an HTML usage with then to save time and the hassle you can straight away go with using Blueprint CSS Framework whether it is the task of laying out an HTML Webpage or it is the task of PHP or Rails. The main aim of the Blueprint CSS framework is to reduce your development time. With the help of this CSS Framework you can build a great base for your project that has easy to use grid , helpful plug-ins , sensible typography , and as well a different style sheet for printing. The motto that is broadcasted by the Blueprint community is“Spend your time innovating, not replicating.”. One can say that they practice what they preach as Blueprint has been successful in accomplishing their motto with the help of levelheaded defaults , beautiful forms , appealing typography , amazing grid framework and stunning style sheets that are built by keeping in mind the printers. You can make use of various editors, templates and tools in each and every step of your workflow. You can get rid of the discrepancies across different web browsers with the help of CSS Reset. There are plug-ins for various sprites, buttons and tabs. You can support the most complex of layouts with the help of solid grid. 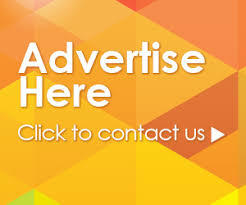 With the help of print styles you can ensure that any of your webpage is ready for being printed on paper. Typography used by this CSS framework is dependent on the standard and expert principles that predate the web. You can make beautiful user interfaces with the various form styles rendered by the Blueprint CSS Framework. If you want to set up the grid then there are several classes available in the source file blueprint/src/grid.css that you can apply to divs for setting all sorts of column based grids. 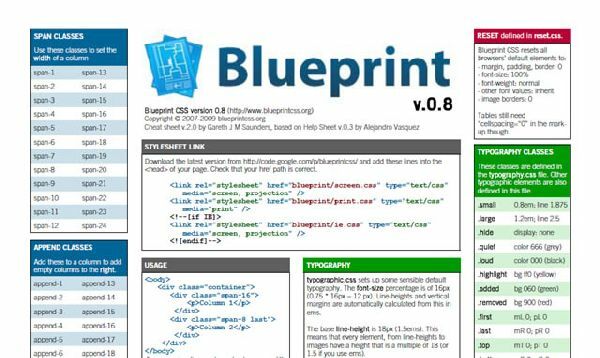 If you want to set up any kind of default print rules to make sure that when your web page is printed the website looks better then you need to include the source file blueprint/src/print.css on every web page. If you want to reset the CSS values that are set by your web browser then include the source file blueprint/src/reset.css. You should use the source file blueprint/src/ie.css to include every slice of Internet Explorer 6 and Internet Explorer 7. If you would like to set some kind of default value for the typography then make use of the source file blueprint/src/typography.css as it has methods for making your text fancy and the way you want. You can as well add some minimalist styling to forms with the use of blueprint/src/forms.css source file. Apart from this if you would like to validate the core files of Blueprint with the W3C CSS Validator then you will have to use the lib/validate.rb script.